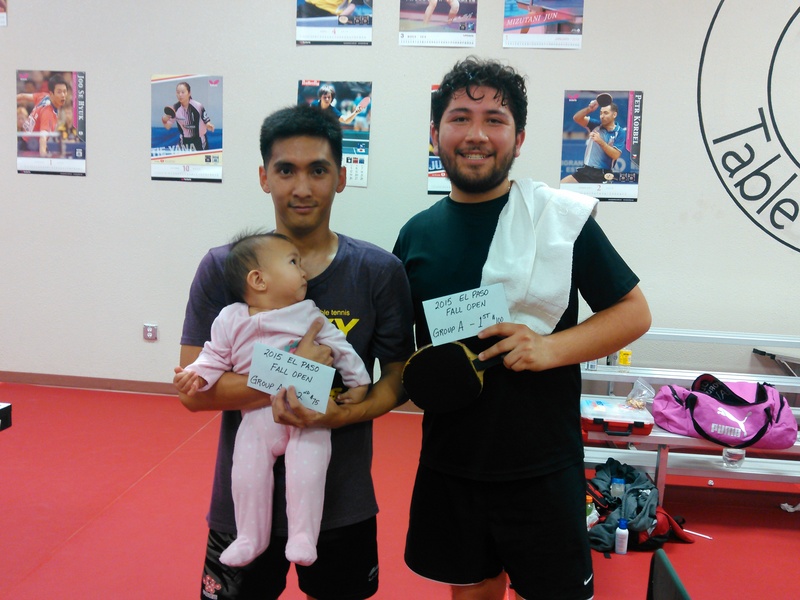 It was a BIG day for Chinoz Rojas and Augusto Rodriguez as they won Group A and Group B respectively and also claimed U-3500 doubles in a 3-way tie. 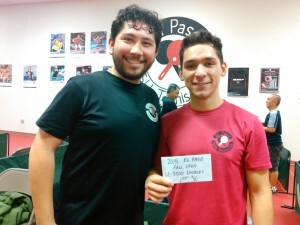 Chinoz was seeded 4th (out of 9) and upset Gustavo Martinez and Mark Flores in 5 game battles and also came back from being down 2-1 to defeat Adam Block of Tucson, AZ to claim the $100 1st prize. 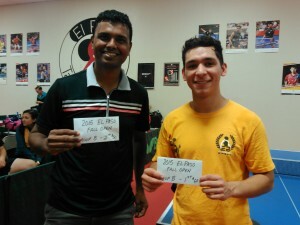 Augusto was seeded 9th (out of 9) and played solidly to finish 7-1 and claim the 1st prize of $60. Chinoz and Augusto also went 3-1 in U-3500 Doubles to claim the $40 1st prize. They won a 3-way tiebreak over Shekhar and YJ of Santa Fe and Gustavo and Luc of El Paso. A HUGE thank you goes out to all of our out-of-town competitors for attending…Adam Block-Tucson, Shekhar Deshpande-Santa Fe,Tom Wintrich-ABQ, Kali Goring-Santa Fe, YJ Kim-Santa Fe, Kyle Moyant-NM, and Jay DeManuel-Alamogordo. 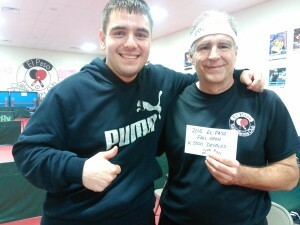 Thanks to Ronald Meeks for helping manage the tourney and coaching his fellow El Paso club members.